This plucky series, commissioned by the Canadian Broadcasting Corporation and shot in and around TORONTO, has been renewed for a second season both in Canada (CBC) and in the US (POP cable network). The series centres on a formerly filthy rich video store magnate (Eugene Levy), his soap opera star wife (Catherine O’Hara), and their two kids – hipster son David (Daniel Levy) and socialite daughter Alexis (Annie Murphy), who suddenly find themselves broke. 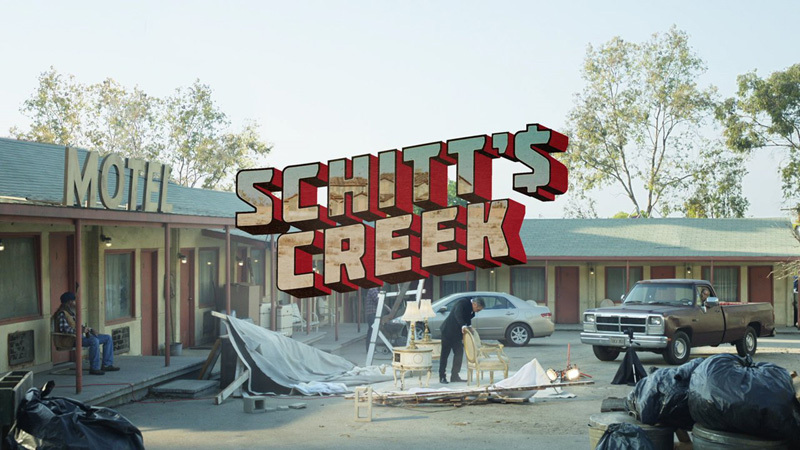 They are forced to live in Schitt’s Creek, a small, depressing town daddy once bought as a joke. 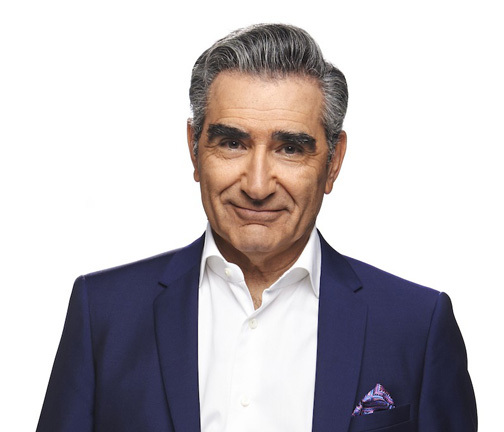 Created by father/son team EUGENE and DANIEL LEVY, and starring Catharine O’Hara, Eugene Levy, Daniel Levy and Annie Murphy, the series is doing well on both networks. CBC and POP have ordered another 13 episodes for 2016. This entry was posted in Culture, What's On & Entertainment and tagged "Schitt's Creek" renewed in US & Canada, Canada, CBC television Toronto, CBC's 'Schitt's Creek' a winner, Onttario, Toronto. Bookmark the permalink.